Boulder Inn & Suites 40-room hotel in Maryville, Missouri is located East of Maryville at Mozingo Lake Recreation Park. 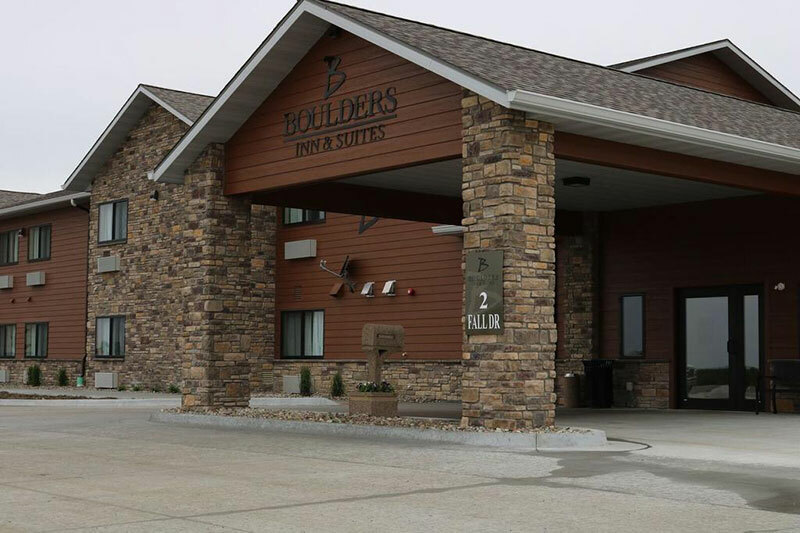 Boulders Inn and Suites is a modern, upscale hotel catering to the business or leisure traveler and group travel for weddings, family reunions, teams, and organizations. The business center, located in a section of the lobby, offers guests Internet service and printing. The hotel also features a fitness center, elegantly appointed contemporary guest rooms and suites with modern amenities, pillow-top mattresses, and hot complimentary breakfast every morning. Maryville, Missouri is home to Northwest Missouri State University which is located minutes away from the hotel. Our location offers a convenient, comfortable and affordable place to stay for visiting family members and university guests.